Be the first to review this 2018 Chrysler Pacifica. Chrysler Pacifica is the latest word in minivans and is arguably the best in its class, beating standout Honda Odyssey with brilliantly designed foldaway seating. Way back in the mid-1980s, Chrysler unveiled the first minivan, as a 1984 model. More than three decades later, after the original minivan had gone through several generations, the company developed a modern-day minivan to take the place of the original. Lighter in weight and more efficient than its ancestors, Pacifica was born. Launched for the 2017 model year, the Pacifica gains a new base L model for 2018. Additional safety features also have been made standard on all 2018 Pacifica models. The Plug-in Hybrid version adds a Touring Plus model. The 2018 Pacifica comes in seven trim levels: L, LX, Touring Plus, Touring L, Touring L Plus, and Limited. Beneath the Pacifica hood, Chrysler’s 3.6-liter V6 makes 287 horsepower and 262 pound-feet of torque, driving a 9-speed automatic transmission. All Pacifica models are front-wheel drive; all-wheel drive is not available. 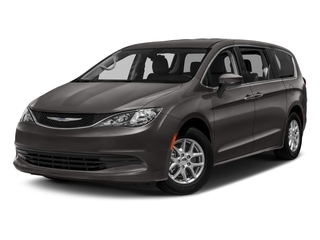 The Chrysler Pacifica may be the best minivan available for hauling cargo, with a capacity of 140 cubic feet, quickly convertible to people use. And while the Honda Odyssey excels at hauling people, Pacifica does a fine job at that, as well, offering comfortable second-row seats and adult-size third-row seating. Indeed, there is nothing mini about this minivan. For increased fuel economy, Chrysler also offers a Plug-in Hybrid Pacifica, combining a gasoline engine with an electric motor and 16-kWh lithium-ion battery. Capable of traveling up to 33 miles on electricity alone, the Hybrid gets an EPA equivalent rating of 84 MPGe. Hybrid models lose cargo-carrying ability, however, because the second-row seats don’t fold away. Developing the Pacifica allowed Chrysler to get away from the familiar, near-boxy profile, turning the basic minivan idea into a sleek family hauler. Pacificas rank highly in safety, flexibility, and utility. They also maintain the minivan’s original mission: to do just about everything well. Safety is a strong point. Pacificas have scored well in crash-testing. The National Highway Traffic Safety Administration has given the 2018 Pacifica five stars overall, and also for both frontal and side impacts. The four-star rating for rollover resistance, a calculated score, is typical for taller vehicles. All Pacificas are now equipped with a rearview camera, blind-spot monitoring, and rear parking sensors. Forward-collision warnings with automatic emergency braking remain optional, only for certain versions. In all crash tests performed by the Insurance Institute for Highway Safety, the 2017 Pacifica earned Good scores. Available frontal crash-prevention systems gave it a Superior rating, and the Pacifica was named a Top Safety Pick+. For certain trim levels, a Technology package combines forward-collision warnings with automatic emergency braking, adaptive cruise control, and surround-view cameras. The optional lane-departure warning nudges the vehicle back into its lane, as needed. Taking a page from the Honda Odyssey, an in-car vacuum cleaner is optional. Pacifica LX ($29,795) upgrades with 17-inch alloy wheels, foldaway second-row seats, steering-wheel audio controls, three-zone air conditioning, and a power driver’s seat. Pacifica Touring Plus ($32,595) gets power sliding side doors, a power driver’s seat, three-zone automatic climate control, garage-door opener, alarm, automatic headlights, and remote start. Pacifica Touring L ($35,495) includes perforated leather seats, heated front seats, a leather-wrapped steering wheel, and a chrome roof rack. Touring L Plus ($38,695) adds a heated steering wheel and second-row seats, 13-speaker Alpine audio, and wireless streaming. Pacifica Limited ($43,695) gets hands-free sliding side doors, a hands-free power liftgate, panoramic sunroof, 18-inch wheels, in-car vacuum, power-folding third-row seat, navigation, and real-time-traffic. Pacifica Hybrid Touring Plus ($39,995) is equipped similar to gas-engine Touring Plus, with power sliding doors, a 7-inch digital display, remote start and a security alarm. Hybrid Touring L ($41,995) gets bright bodyside moldings, perforated leather-trimmed seats, heated front seats, and a power liftgate. Hybrid Limited ($44,995) includes hands-free power sliding doors and liftgate, 20-speaker Harman Kardon audio, an upgraded console, and auto-dimming inside mirror. Suave compared with traditional minivans, Pacifica nevertheless retains that body style’s practical credentials. Topped by a glassy cabin, the sizable Pacifica starts with a slim, sleek nose, ending with a kickup at the rear pillars. Side glass is surrounded by bright metal trim pieces. Windshield pillars angle slightly inward at the base, helping to make the Pacific appear smaller and narrower, when viewed from the interior. In reality, it’s no smaller than its top rivals: the Honda Odyssey and Toyota Sienna. Pacifica’s interior features organic shapes and matte finishes. Lighthearted elements are carefully executed. Ready to carry up to eight occupants and their gear, the Pacifica shines in flexibility. Unlike the upright rear seats in Odyssey and Sienna, most Pacificas are fitted with foldaway seats, besting the competition in both comfort and utility. The sculpted, stitched dashboard wraps neatly around front passengers. Front-seat passengers get a panoramic view ahead, with reasonably supportive seats flanking a console with a deep storage bin. Second-row seats promise sufficient padding and adjustments. In eight-passenger versions, the removable second-row center seat serves as an armrest. We find seven-passenger versions easier to live with. Second-row seats fold easily into the floor; except Hybrid models hold batteries in those spaces, so second-row seats don’t fold away. Adults fit nicely in the third-row seat, even enjoying ample headroom. Under-leg support is satisfying, too. Rear-seat video entertainment is available. Cargo volume behind the front seats totals 140.5 cubic feet, dropping to 87.5 cubic feet behind row two, and 32.3 behind the third row. Outward vision excels, especially in rear-quarter views. Sliding side doors have abundant glass and a relatively low door line. Chrysler’s V6 engine delivers plenty of power to send the Pacifica energetically forward, at a fully appropriate pace. Crisp performance is complemented by spirited handling and a supple ride. Road behavior ranks at or near the top of the minivan class. In fact, a Pacifica handles far better than most minivan drivers are likely to expect. A tight body structure helps yield a smooth, controlled, well-damped ride. Comparatively firm springs and dampers yield a composed feel over almost any surface, including harsh, flawed pavement. Electric power steering has a little heft, and helps the Pacifica track nicely on the highway. Winding roads aren’t a problem, and the steering feels natural as it winds and unwinds. Brakes could stand some improvements, as the pedal feels somewhat stiff, lacking a progressive feel. A rotary dial controls the transmission, which responds predictably, without the jerkiness or stumbling behavior suffered by some 9-speed units. Pacificas top the minivan class in fuel economy, though not by much. The 2018 Pacifica is EPA-rated at 18/28 mpg City/Highway, or 22 mpg Combined. The Plug-in Hybrid is EPA-rated at 84 MPGe (equivalent) City, 32 mpg Combined. Indisputably modern, unlike some members of the minivan class, Chrysler’s latest entrant delivers just about every benefit that’s needed. Prices are comparatively high, but the Pacifica ranks as the most flexible minivan on the market. Honda’s recently reworked Odyssey is the only serious contender. 2018 Chrysler listings within 25 miles of your ZIP code. Find 2018 Chrysler listings for sale near you.